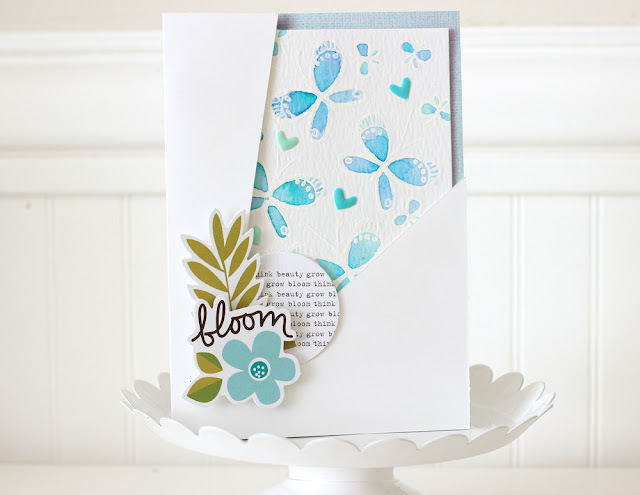 Welcome to the Bella Blvd + Cardmaker blog hop! I received some beautiful products from the Illustrated Faith line this time around. 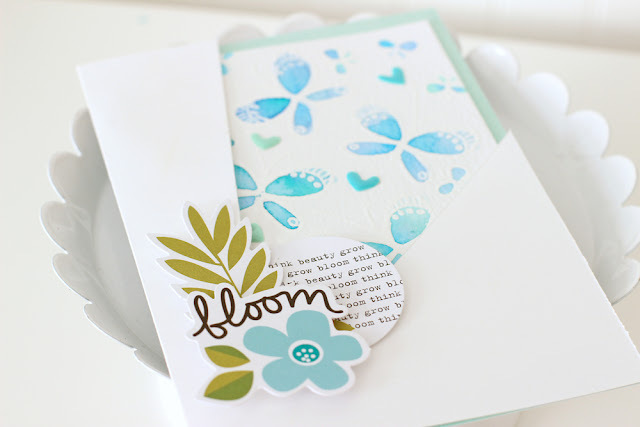 The first stamp that caught my eye was the Fly Free Butterfly Stamp with a pretty collection of sentiments and butterflies in different shapes and sizes. I used white embossing powder and Kuretake Gansai Watercolors to create this soft effect. I love how creamy and vibrant the colors are in this set. The watercolored panels (and white background) were cut with the Lawn Fawn Stitched Rectangle Dies. This adds a nice, textured stitched detail without the sewing! This is a version of the same white embossing and watercoloring technique. Here the butterflies are in the background, while the Illustrated Faith Friendship Die Cuts add the title and a layer of pattern to the front of the card. The heart shapes scattered throughout both cards are made out of enamel and come in a variety of sizes and colors. They are my favorite Illustrated Faith embellishment. To continue on the blog hop, please visit the very talented Laurie Schmidlin for more inspiration. 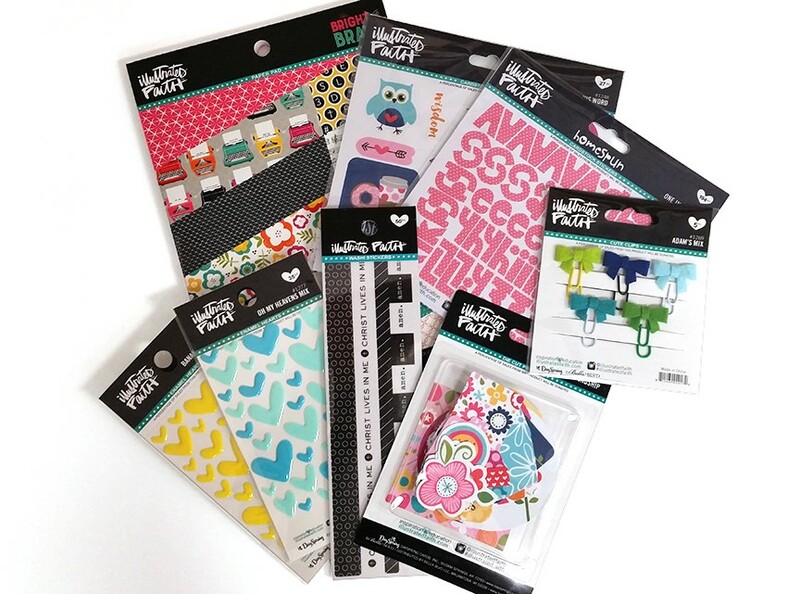 If you get lost along the way, you can always go back to Cardmaker or Bella Blvd for a complete list of the hoppers!